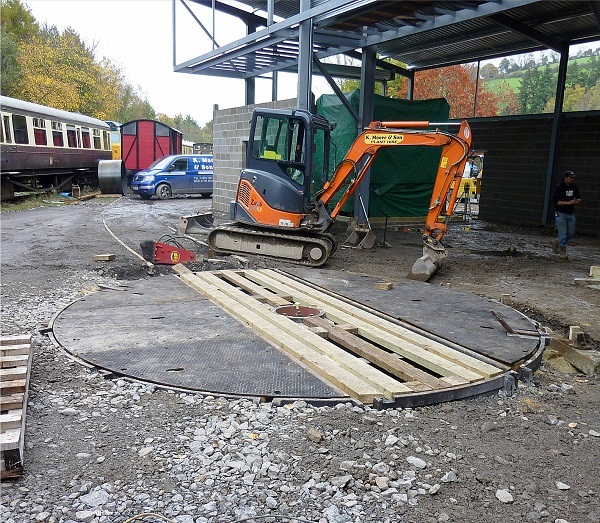 The new building to house the recently acquired boiler business of R K Pridham Engineering has now started to sprout from the area at the North end of the existing workshop at Buckfastleigh. 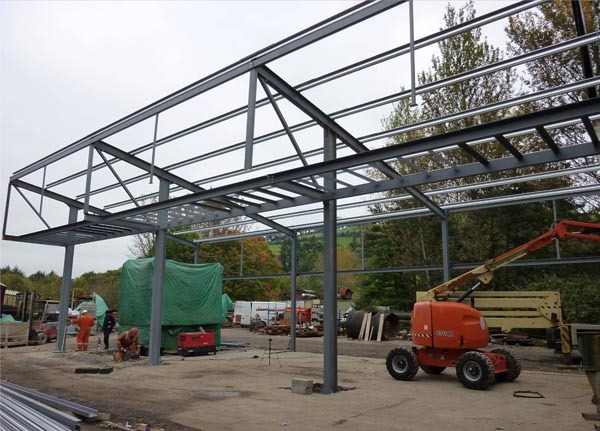 Contractors moved in earlier this week to put up the steel framed building. Blockwork will start appearing very shortly and the cladding next week. The large 700 ton capacity John Shaw viceing press has already been installed in the ground and is seen here covered in the large green tarpaulin. Limited boiler work is already being carried out by the former Pridhams staff - one smaller press is back in action in a temporary position and is about to press some bottle ends for a customer, and progress is being made on the South Devon Railway Trust's 64XX boiler. Other dies are being ordered for new pressings to be done as soon as the John Shaw press is recommissioned. 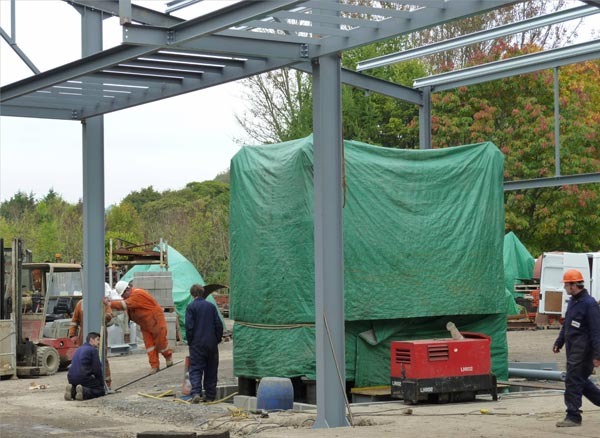 Since the last report (above) on the new boiler shop was posted a fortnight ago rapid progress has been made. The steel frame is complete, the roller shutter doors are in place. 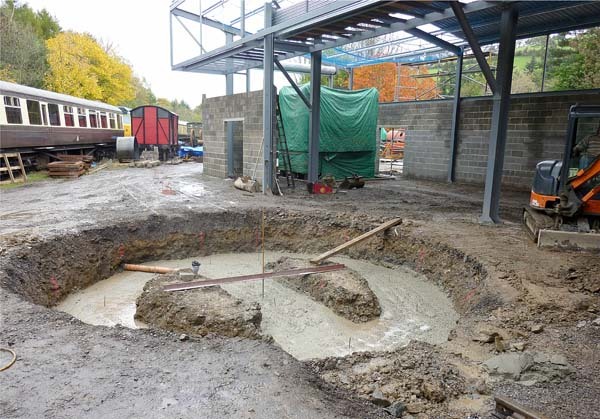 Today's first photograph shows the turntable pit, where an ex-wagon turntable from the old Morris Cowley car plant in Oxford will be installed, being prepared for the concrete pour later in the day. 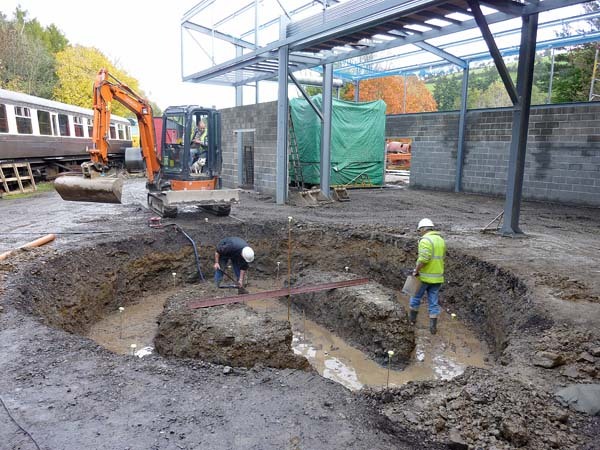 The next picture shows the pit after the arrival of the concrete. The turntable, which is a complete unit and similar to two found buried at London's King's Cross station recently, will be craned straight into the pit. The observant amongst you may notice that the shed roof covering has started to appear in the top right hand corner of the second picture. By the end of the day that had been completed. The floor will be cast by the middle of next week. In order to remove the track panel the fishplate bolts where removed by unbolting even though they've been under concrete for over 30 years! 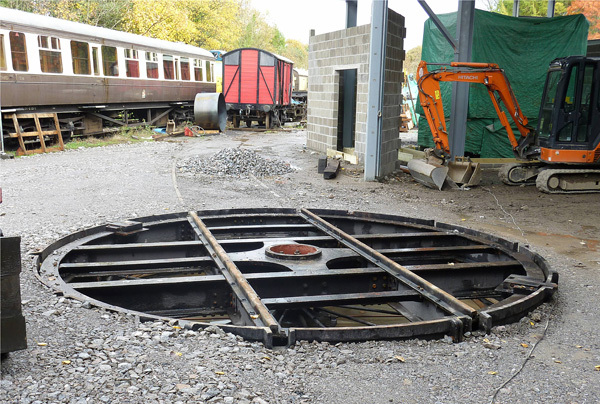 With the pit dug and concreted, the restored turntable has been placed in its new position. 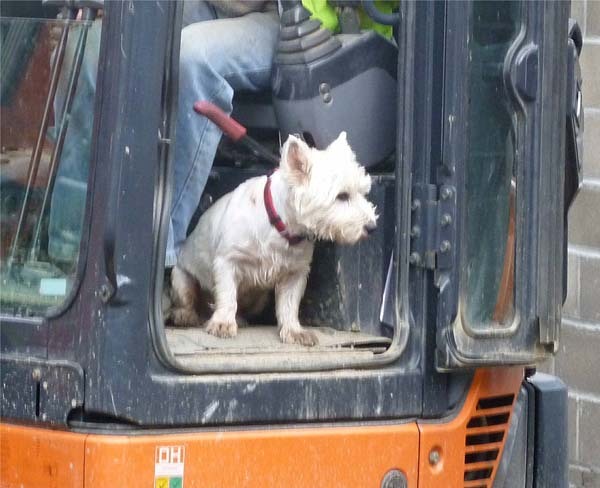 The next move is to refit the top deck. 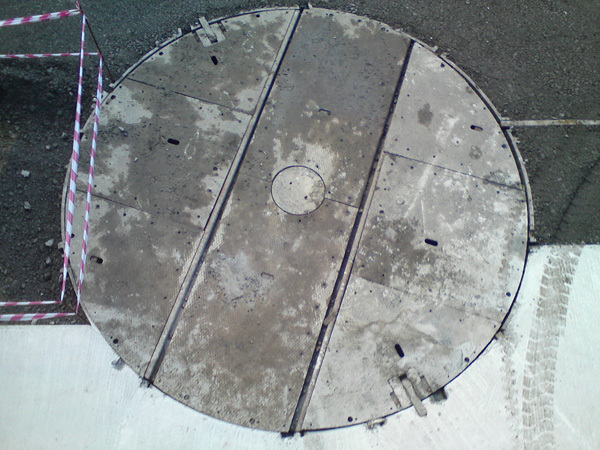 With that in place it is possible for road vehicles to drive straight over it as it will be flush with the roadway. 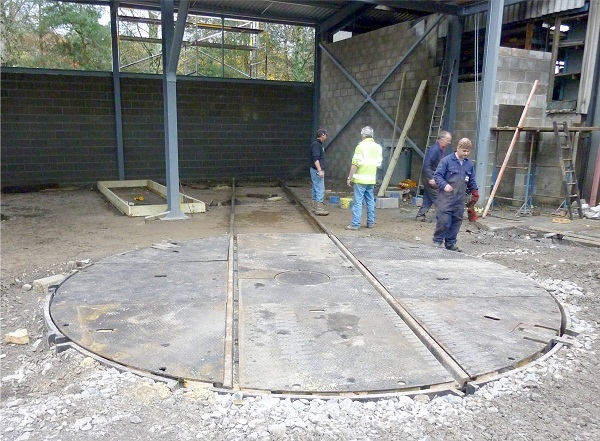 Two more pictures of the installation of the small turntable to serve the new boiler shop! The first picture shows the wooden layer on top of which the steel deck is partly laid. The second picture has the full steel deck in place and turned to line up with the first track into the boiler shop. The next stage will be a concrete delivery to form the boiler shop floor.